Travel by road has not always been the only option for those planning a journey. 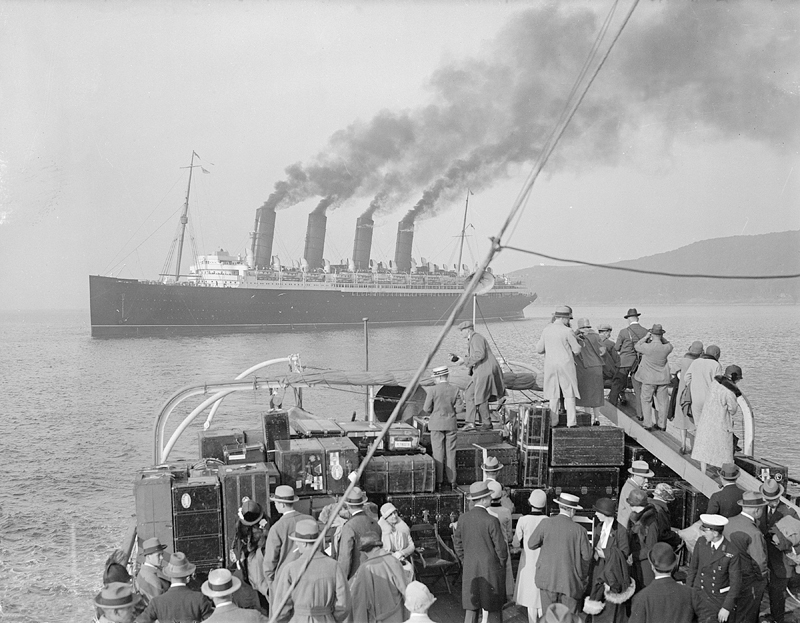 Until quite recently, going by sea was generally favoured for long journeys. In 1851 Richard Garrett used sea travel to take his entire workforce to see the Great Exhibition in London. In early times, Saxon and Viking settlers had travelled inland by river, and in the 18th and 19th centuries the Stour, the Lark and the Gipping/Orwell rivers were improved to make them navigable again. The Lark became known as the coal river in Bury St Edmunds, so drastically did the price of the fuel drop when it could be transported into the town by water. Most of our present roads started as tracks for walking and driving livestock on; only later did they get tarred over. These older roads wound their way round field boundaries and still do, unless they have been straightened out in the interests of road safety. The upkeep of most roads was a parish concern until the 18th century, and they were often in a terrible state, especially in winter. The situation then improved, thanks to the Turnpike Trusts—companies that were given the right to charge tolls in return for keeping the roads in a good state of repair. The first Suffolk Turnpike Act was passed in 1741 for the roads between Ipswich and Scole—going by way of Claydon, Stowmarket and Haughley. Before the advent of the car, the roads also served as the children’s playgrounds—with games strictly governed by the seasons—continuing so into the early days of motor traffic when the approach of an occasional car was heralded by a plume of dust, seen from afar. Stagecoach companies were set up to use the turnpike roads, with fresh horses posted at inns along the route. It became possible to travel from Woodbridge to London, for instance, ‘in five hours, for 10 shillings, instead of paying three times that amount and being thirteen hours on the road’, according to White’s Directory. In recent times, journey times have been improved in Suffolk, as elsewhere, by the creation of dual carriageway trunk roads and bypasses around towns. The A14, itself connecting the port of Felixstowe with the motorway network, will soon get even nearer to motorway standards, as the stretch between Stowmarket and Bury St Edmunds is improved by safer junctions at Haughley and Rougham. 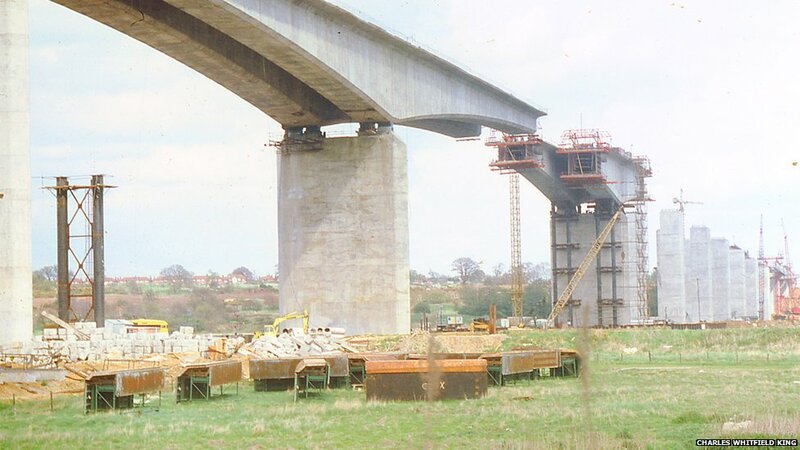 The opening of the Orwell Bridge in 1984 was another significant advance, creating a lower bridging point than had previously existed. It made the rapidly expanding port at Felixstowe more accessible, with traffic able to by-pass Ipswich. Back in the days of the Turnpike Roads, the inns along the way were vital to carriers, wagon drivers and mounted horsemen as well as to coach companies. Travellers stopped at the pubs and inns to refresh themselves and their animals at all times of day, and many times of night, as they often had to set out in the early hours of the morning in order to get to their destinations on time. It was not unknown for a tired driver to be rocked to sleep by the motion of his hay wagon trundling along at 3 miles an hour. There were caravans on the road, and every year gypsies brought ponies to Suffolk from Wales. Pedestrians did not have to pay to use the turnpike roads, but there was a charge for taking flocks of animals. In 1846 Ipswich and Bury St Edmunds were linked to London by the new railways. By the time Southwold gained its notable narrow-gauge line in 1877 a network of rail connected nearly all the county’s towns to each other and to the country beyond. Steam trains made an enormous impact when the fastest alternative was a horse, and they certainly had a radical effect on the economy of the communities they came to. They enabled people to leave as well as to arrive, however, and the 1850s—the decade in which the spread of the railways was consolidated—was the only one in the 19th century to see a decline in the county’s population. Now all that remains are the London-Norwich line, calling at Ipswich and Stowmarket; lines from Ipswich to Cambridge, Felixstowe and Lowestoft; the Sudbury-London line, and one dedicated to the removal of nuclear waste from Sizewell power station. 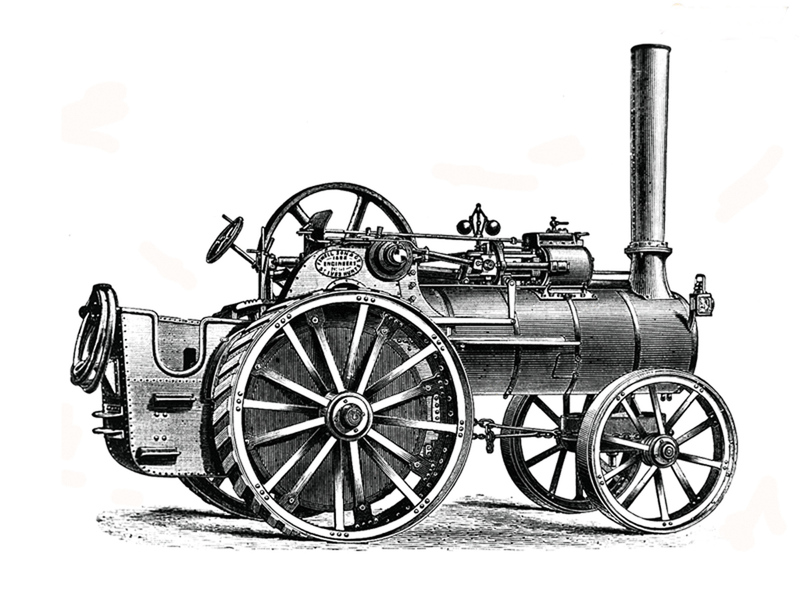 In its early days, steam was used to power a few road vehicles as well as trains. Steam lorries never really caught on but traction engines that travelled from farm to farm, and steam-rollers—used for road work—became common sights. 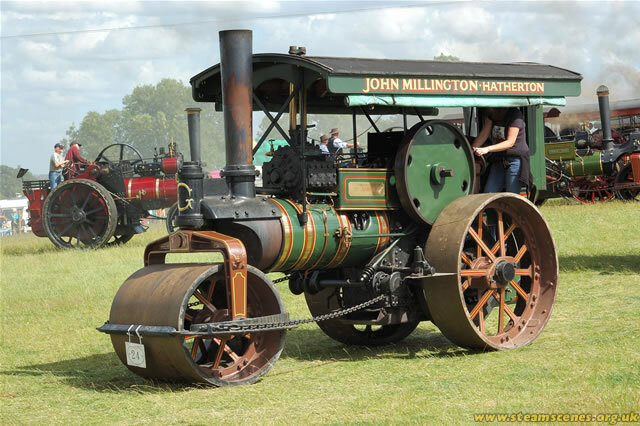 One of the problems with traction engines, however, was that they had poor brakes! 1923 road roller, made by Garretts and on display at their Long Shop Museum. Garrett Traction Engine and Driver, c.1910. The traction engine drivers were normally very careful, of course, as is made clear in anecdotes told in George Ewart Evans’ book The Days That We Have Seen. The penny-farthing, properly known as the ordinary, was used between 1870 and 1890, but cycling did not become a mass pastime until the development of the safety bicycle in the 1880s. It then became popular in Suffolk as elsewhere, and by the turn of the century an annual ball was being held at the Athenaeum in Bury St Edmunds by the town’s two cycling clubs. The first public transport in Ipswich was provided by a horse tram company in 1880. In 1898 competition came in the form of horse buses, but in 1903 electric trams were installed and the horse buses went out of business. Public transport was to play a vital role in the expansion of the town, enabling people to live in the new suburbs and travel in to the centre to work. In 1926 the trams were replaced by trolley buses which were more flexible to operate. Though they still relied upon power from overhead cables, they were not dependent upon rails set in the road. The service was still operated by Ipswich Transport Corporation, which meant that Ipswich did not experience the period of fierce competition between the two modes of transport that happened in nearly every other major urban centre. The trolley buses were made by the county’s largest engineering firms, Garretts of Leiston and Ransomes of Ipswich. The 1930s were the heyday of the trolley buses, but they continued in service well after the Second World War. The last one was withdrawn in 1963. Competition from diesel buses saw them off. In the austere years after World War 2, motorcycles, sidecars, mopeds, and even engines attached to cycles became widespread as more people aspired to some form of motorized transport. The car had first been seen on Suffolk roads in the 1890s, but remained a rare sight in rural areas until the 1930s—and it was not until the 1960s that houses were built with garages as a matter of course. The changes brought about by car ownership on, for example, shopping patterns and leisure activities have been discussed a good deal, but the impact that it has had on the visual environment has also been profound—not least in the separation of residential and commercial areas. At the end of the 20th century—in the face of pollution and rising oil prices—Eastern Electricity experimented with electric cars. There were problems though, including a lack of heating due to the absence of a cooling system to run it from, as well as their limited range before it became necessary to re-charge the batteries. In 1995, Ipswich Buses experimented with a bus converted to run on compressed natural gas, but this too was judged to be unsuccessful. The first of the diesel buses were introduced to Ipswich quite late, in 1950, by the town corporation, to serve the new Whitehouse and Maidenhall council housing estates. Eventually the corporation had a fleet of 67 diesel buses. Double deckers were favoured in the late 1960s and 70s, but declining passenger numbers led to more single deckers, and then minibuses, being purchased from the 1980s onwards. The website for Ipswich Transport Museum, goes into more detail of the history of trams, trolleys and buses in Suffolk. The Eastern Counties Roadcar Company, which provided the Ipswich buses, set up a depot in Bury St Edmunds in 1922. In the same decade a number of small companies set up in rural areas, taking over the role of the old village carrier by running trips to town on market day as the mainstay of their business. These included Beestons, Partridge and Mulleys, companies which are still in business in the 21st century. The only commercial airport in Suffolk was a small one at Ipswich, which is now used by an aero club, but there are military air bases at Wattisham and Honington, Mildenhall and Lakenheath, the latter two leased by the US air force. Mildenhall air base was used for the start of the International Air Race from Mildenhall to Melbourne in 1934.